Halloween is in the air and the holiday can be full of fright for little ones. But we’ve rounded-up plenty of scare-free fun so kids of all ages can dress up in their favorite costume and go enjoy the lighter side of the holiday. 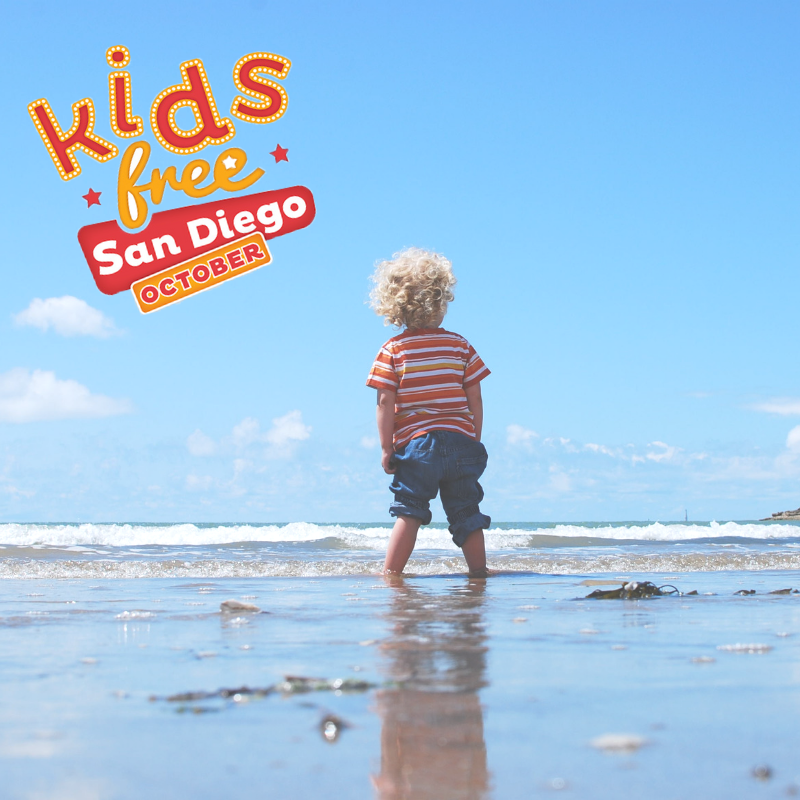 From the San Diego Zoo’s first Halloween event ever to the Aquarium’s Sea Monster Mash, read on to learn where you can have a monstrously great time with your little ghouls and goblins. It’s almost time for the 8th annual Pillage the Village! Every year, trick-or-treaters in La Jolla walk around the Seaport Village in costume and treat the locals to a little Halloween spooky fun. Participating merchants and businesses will have orange and black balloons visible, so you know where you’ll be able to get some goodies. A good starting point is Girard and Prospect. 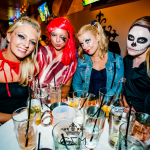 Work your way around downtown La Jolla until you’ve trick-or-treated everywhere! Watch silly and spooky live shows and presentations, enjoy fun Halloween activities, and trick or treat for candy and goodies throughout the colorfully decorated park! Halloween Spooktacular is one of San Diego’s biggest fall festivals, with weekends brimming with family fun. 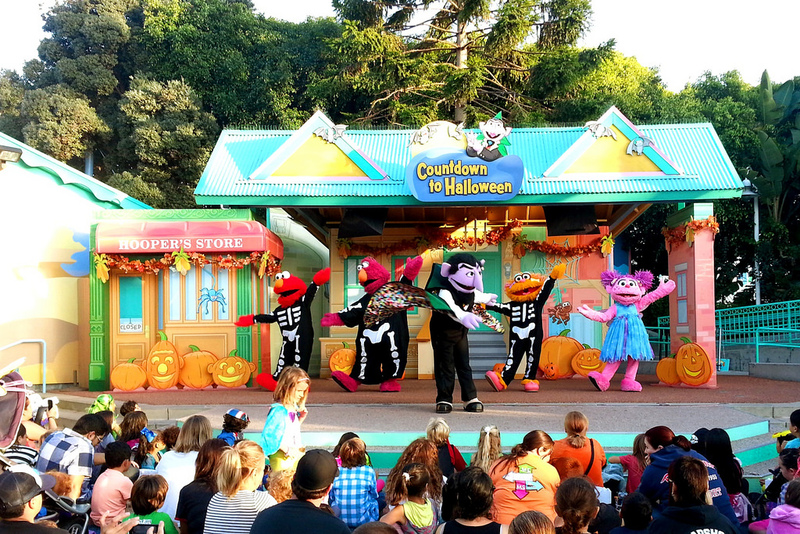 Get in the spooky spirit and catch popular live shows like Clyde & Seamore’s Big Halloween Bash and the all-new Sesame Street Halloween Parade, join delightful Halloween dance parties and let the little ones trick or treat throughout the park in a safe, family-friendly environment. Oh, and be on the lookout for singing pumpkins in SeaWorld. Halloween festivities await at LEGOLAND California! 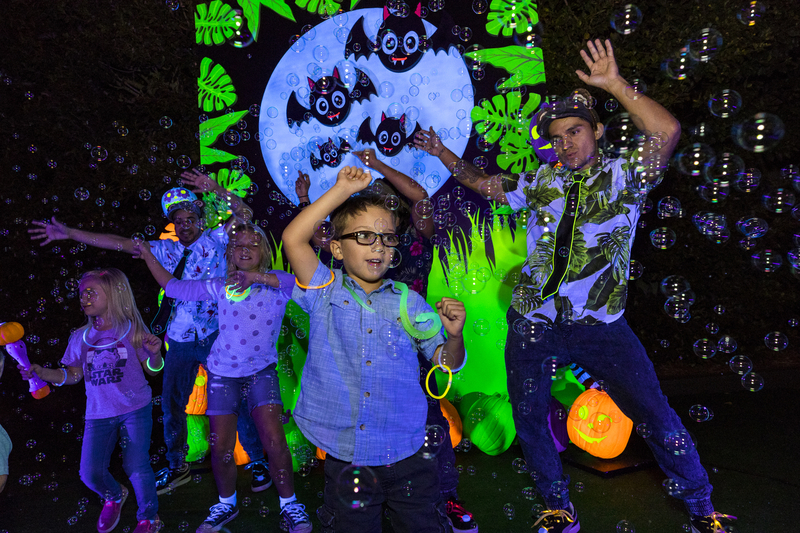 Each Saturday evening throughout the month of October, families and little ones will enjoy live entertainment and new shows, character meet-and-greets, costume contests, treat stations (featuring more than 1 million pieces of candy), an AstroBash Dance Party, craft time, and more! Plus, don’t miss special treats and decorations in SEA LIFE Aquarium and take a spook-kooky ride on our updated Ghost Cruise adventure. The home of Halloween fun awaits for your next family adventure! Returning for its sixth season this year, Boomont & Fall Fest 2018 transforms Belmont Park with fall thrills and chills throughout the beachfront amusement park! Halloween and fall-themed festivities will be happening on Fridays and Sundays in October through November. Attractions include The BOOmont Manor (a family-friendly haunted house), a pumpkin patch where you can participate in pumpkin painting, the Spooky Coaster ( the 1925-era Giant Dipper wooden roller coaster), the Superhero Zip Line & Rock Wall, and Zombie Laser Tag, where creatures will join you in a three-floor maze. Belmont Park Costume contests on Saturdays. Each day includes trick-or-treating from 6:30pm-7:30pm. The event runs every Friday, Saturday, and Sunday through October 31. 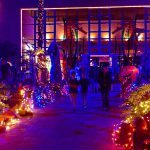 Join the world-famous San Diego Zoo for a colorfully creepy celebration October 26 through 28, from 5pm to 8pm. Guests will get the chance to enjoy myriad ghoulishly fun activities and entertainment, including the interactive “Boolahoops,” the hip-hop dancing Funky Monkeys, amazing acrobats, pumpkin and cookie decorating, cupcake walks, and the DJ Dance Party — a rousing bash where guests are invited to dance to spectacular Halloween tunes among bursts of bubbles, with a fun finale featuring black-light bubbles! The Zoo’s zany maestro of fun, Dr. Zoolittle, will astound the crowd with a special “Creepy Crawly” show that just might change your mind about snakes and spiders. 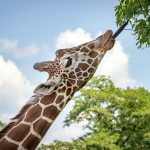 Magician Glowinda the Great and jugglers Humerus and Femur will mingle among guests, astonishing everyone with amazing feats and mind-blowing acts, while the Zoo characters will get into the spirit of the season and don their best Halloween costumes. 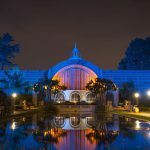 Enjoy close encounters with Scripps Institution of Oceanography scientists and search the galleries for unusual underwater creatures rarely seen at Birch Aquarium during its spooktacular Sea Monster Mash! This spooky San Diego spot allows you to explore a sea of glowing beasts (big and small), make your own seaweed slime, get up-close-and personal with Frankensquid and other spooky species, and enjoy ghost stories, all while boogieing down to live music courtesy of Billy Lee and the Swamp Critters, and having a monstrously good time. Scientists from the Scripps Institution of Oceanography showcasing exciting, and sometimes spooky, research. Glow Critters: Witness creatures that create their own light and glow in the deep, dark ocean. San Diego’s largest free Halloween carnival celebrates its 10th annual extravaganza in Balboa Park! Balboa Park Halloween Family Day features dozens of free craft projects for kids, Day of the Dead-themed display altars and crafts, costume contests and parades, carnival games with prizes, live entertainment, and food trucks. Participating museums also offer free admission to children 12 and under with paying adult. More than two dozen participating museums, cultural attractions, and community partners will present free hands-on activities for kids in the Plaza de Panama and El Prado walkway, while select museums offer additional Halloween-themed activities inside their buildings. Other highlights include a free performance by the San Diego Children’s Choir, mini-carnival games for prizes, a doggie costume contest in the Spanish Village Art Center, a rooftop pumpkin drop experiment at the San Diego Air & Space Museum, “Thriller” flash mob dance in the Plaza de Panama, and more! 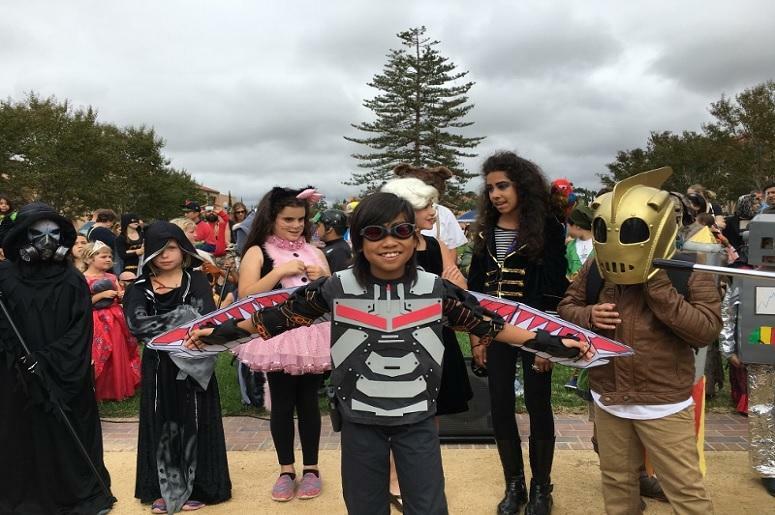 Head to the La Jolla Rec Center for an afternoon of Halloween inspired games, a bounce house, arts and crafts, and more spooktacular activities! There will be several costume contests held throughout the day (grouped by age), and the first costume contest starts at 1:30pm. Families can purchase wristbands for the day for $10, which include the bounce house, face painting, carnival games, and the arts and crafts stations. Liberty Station is inviting the community to join in on a free family-friendly Halloween celebration this October! 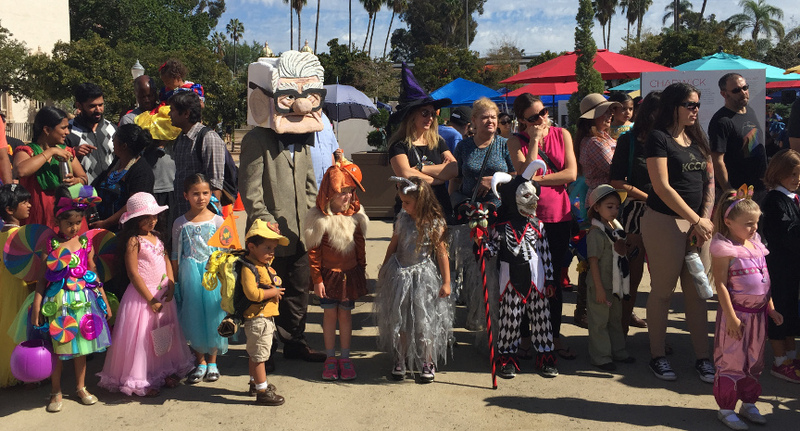 Fun daytime festivities will include a costume contest, trick-or-treating throughout Liberty Station, a play area presented by Kid Ventures, live music and entertainment, a Hollywood car show, and tons more! Families can also snap some pictures with 501st Stormtroopers and participate in festive games, as well as find their way through an inflatable obstacle course and the Liberty Public Market pumpkin patch. Kids ages 4-12 can attend their own Halloween party at the Hotel Del Coronado (while you and your date party at the Hallo-Wine and Spirits Party!). Little ones will delight at all of the spooky decorations and costumes as they enjoy trick-or-treating, games, a themed dinner, and more. This year’s theme is Hotel Transylvania, so bring your favorite vampire, mummy, or spooky monster costume and enjoy all the spooktastic fun. This San Diego Halloween event is a bit of a splurge, but it will make for a memorable evening that can only take place on Coronado Island. Plus, the Hotel is rumored to be haunted – what could make a Halloween evening more fun? Is the Star of India haunted? Find out as you board the ship for two nights of creepy storytelling! Enjoy lantern-led tours around the ship while you hear eerie legends from the Star of India’s past. Hear the tales of how young John Campbell fell to his death from the rigging, and other creepy events from the ship’s 153 year history. These tales are creepy – and true – and you aren’t likely to hear these stories during its daytime operating hours; which makes it all the more special. Be sure to bring a sweater because if the harbor air doesn’t chill you, the stories will! Starting at 6pm, storytelling tours begin each 15 minutes, with the last tour starting at 9:15pm. Note: this may not be the best event for children younger than 4 or 5. The annual fireworks show in La Jolla has been a beloved attraction for locals and visitors for more than 25 years. 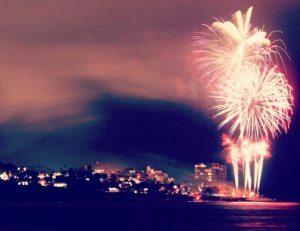 Each year, friends and family gather to watch the awesome display over the picturesque La Jolla Cove. The 30-minute display begins at 9pm sharp and is best viewed from Ellen Browning Scripps Park at the bottom of Coast Boulevard overlooking the La Jolla Cove. The best places to watch the display are Ellen Browning Scripps Park, Coast Walk, and La Jolla Shores (especially Kellogg Park, where the grassy area is). Parking will be difficult and most street parking is timed to two or three hours – so do be aware of all parking signs once you arrive. The fireworks have, sadly, been faced with their share of adversity throughout the years. In 2014, the display almost didn’t happen at all for lack of funding; a last-minute donation saved the day, and thankfully the show has gone on without a hitch ever since! Get there early! Parking will be extremely difficult all over La Jolla on the 4th, as this is an extremely popular spot. Some parking will be blocked off directly in front of the Park, but most street parking will be available. There are also a few underground garages with pay-per-hour rates along Herschel Ave. and Prospect Street. Bring a blanket to sit on. If you get there early, you’ll have a chance to relax on the grass at the park while you wait. It makes for a beautiful place to watch the sunset! Bring a small flashlight if you feel you might need to walk around before or during the display – it gets very dark in the area when they dim the streetlights. After the fireworks, plan on hanging out at a restaurant or bar for a while – getting out of the village will be nearly impossible for at least an hour! For other information on activities and restaurants, visit our complete Guide to La Jolla Cove. Feel like enjoying some dinner before the fireworks? Head to George’s at the Cove for a luxe 3-course meal. 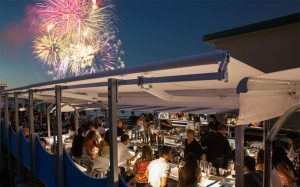 George’s Ocean Terrace and Level2 are the perfect place to enjoy the La Jolla fireworks – their on-the-water location provides some of the best views of the 2017 fireworks show over La Jolla Cove. The cost of each table includes a 3-course dinner on July 4, 2017. Dinner begins at 6:30pm, and this year’s menu includes some incredible options including an Herbed Alaskan Halibut, Grilled Filet Mignon, and a Watermelon Salad; to name a few! You must book a reservation in advance. Visit their website for more information. The 38th Annual Beaumont Avenue 4th of July Parade is happening this year! The Bird Rock Parade Committee, led by Russell and Scott Murfey, is organizing the event. The 0.3 mile Beaumont Ave. parade route starts at 10am at the corner of Camino de la Costa and Beaumont Avenue, and ends at Mira Monte. Watch the neighborhood children in their special Independence Day attire as they walk, trike, bike, scooter, or ride on a float down the parade route. After the parade, there will be a 4th of July celebration and party behind the La Jolla Methodist Church. There will be food, entertainment, and plenty of activities for the whole family. This is solely volunteer-run event, and donations are always appreciated. Please visit their donations website for more information. Between the waves crashing dramatically against jagged cliffs and the intrigue of secret caves, the La Jolla shore certainly brings a level a mystery and majesty to the San Diego portfolio. 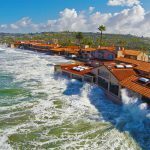 So, it’s no surprise that La Jolla is a favorite destination for locals and tourists alike. From superb dining opportunities to outdoor adventures, you’ll never have a hard time filling your itinerary. If anything, you may be left scratching your noggin about how to narrow down the top things to do. 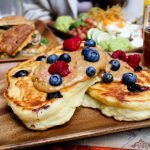 Whether you’re visiting La Jolla with small children or your about-to-fly-the-nest teenagers, you can build a dreamy itinerary. 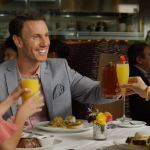 Expedia.com has partnered with La Jolla Tourism to bring you the best ways to enjoy some family fun in San Diego, no matter the makeup of your gang. Do you have a grommet on your hands? That’s what San Diegans call kids who surf. 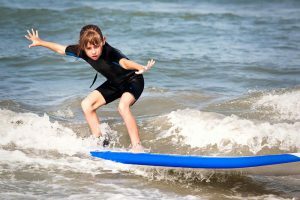 Your little fish can learn the ropes at the Menehune Surf School if they’ve not yet mastered riding waves or duck diving; a 4-hour kids’ surf camp is the perfect way for them to get their feet wet. They’ll revel in the success of standing on the board, and you’ll get lots of cool photos from the shore. Once you towel off, take the gang to the Children’s Pool. The name of this landmark misleads just a bit; it was supposed to be a swimming area for kids, but over time it filled with sand and lured in seals during pupping season. You can stand on the boardwalk nearby to watch the seals from December to May. 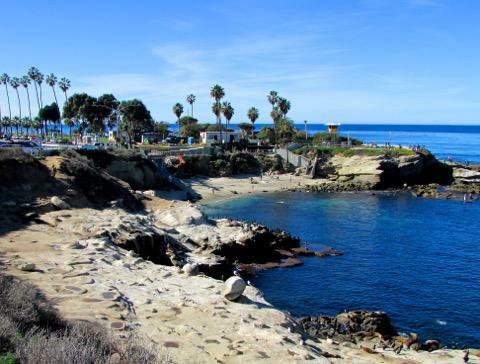 Grab a picnic lunch and head to Kellogg Park, where a play set for young kids is open to the public, and lots of green open space lets you relax near La Jolla Shores Beach. Teens can be difficult to please. Somewhere between being satisfied with a trip to the park and relishing a tour of a museum lies the perfect activity to let them feel as cool as they’ll never admit wanting to be. La Jolla offers a wealth of activities that fall right into this elusive niche. A spearfishing trip off the coast gives teenagers the chance to snorkel out with a spear in hand, catching dinner in dramatic fashion using their primitive tool. 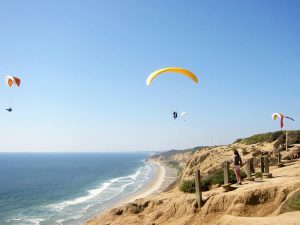 Back on dry land, the Torrey Pines Gliderport offers a cool excursion for older teens and adults. Take a quick lesson, and soon you’re flying off the cliff under a brightly colored canopy. A family that explores together stays together, so it’s a good thing La Jolla has activities that work for an all-ages group. If you’re traveling with kids, teens, and adults alike, the outdoors are the easiest way to strike a good balance. Climb into kayaks and go on a guided sea cave tour. You’ll glide along the coast and spot marine life before paddling your way into exclusive caves only accessible by kayak. If larger vessels float your boat, get aboard a whale watching boat. 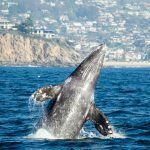 Back on dry land, La Jolla day tours and afternoons at Windansea Beach will bring everyone together. No matter how you spend your time in the Jewel of San Diego, you’ll walk away with plenty of vitamin D and stories to last a life time. How will you create your memories in La Jolla? If you’re visiting or living in La Jolla with little ones, there’s a plethora of children-centered, family-friendly events happening year round. Here are some, just to name a few! No one gets more excited for holidays and the treats they produce than children. This is why La Jolla has put together such kid-centered events, festivals and parades for each year’s main holidays. Learn more about the trick-or-treating opportunities at Halloween and eye-popping parades of 4th of July and Christmas at our Holidays Page. This market, hosted by one of the local elementary schools, puts on events weekly, monthly and annually. All of their events are family-friendly and proceeds go to local children’s and educational programs. What are some of the events to expect? Sundays, come here to find a farmer’s market full of fresh fruit, vegetables and goods from local farmers and suppliers. There’s live music too, so your kids can get a chance to see musicians rather than just hearing them on the radio! During the year, there’s also a family event hosted on the 3rd Sunday of each month. This exact activity varies, but stick with us and we’ll make sure to keep you updated! Is your child ready to be the next Monet? Let them pick up a paintbrush and get on-hands experience at a children’s painting class. “My Art Shed” offers classes led by painters trained in teaching children proper techniques, while making it fun at the same time. Let your future marine biologists explore the ocean floor, from the safety of the ground. At the Birch Aquarium, kids can see everything from Finding Nemo-inspired fish to seahorses. 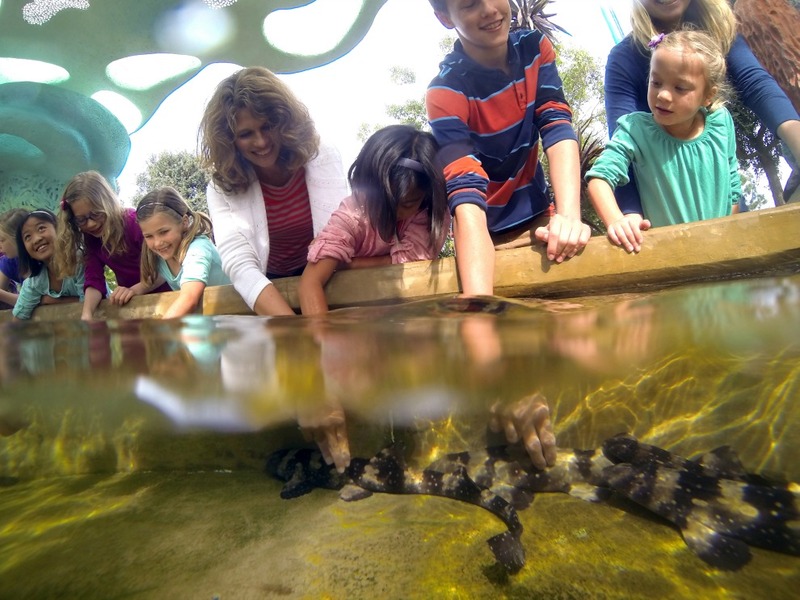 With its vast range of aquatic animals and paired learning activities, it’s no wonder over 40,000 school children are brought to visit here every year! This late night run is a complete blast for children and parents alike. Each year in Southern California, grunion (a breed of silvery fish) ride waves to the coast in order to spawn. Many thousands appear at the shoreline at random, specific dates from early spring to early fall. What happens exactly? People camp out on the shore, often around bonfire pits, on the dates the grunion are expected to come. Between midnight and 3 am, these fish appear by thousands on the beach, flailing and jumping. People run (hence the name) with buckets and grab as many of them as they can. It is quite the sight to behold and something you and your kids will never forget! This beach was made just for kids, although sea lions have taken quite a fancy to it, as well! Learn more about this beach and it’s amenities at our Children’s Pool Page. 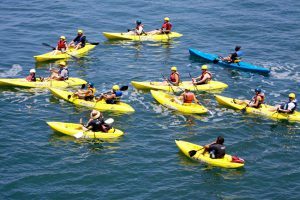 La Jolla, being right along the Pacific Ocean, is a prime spot for water sports. 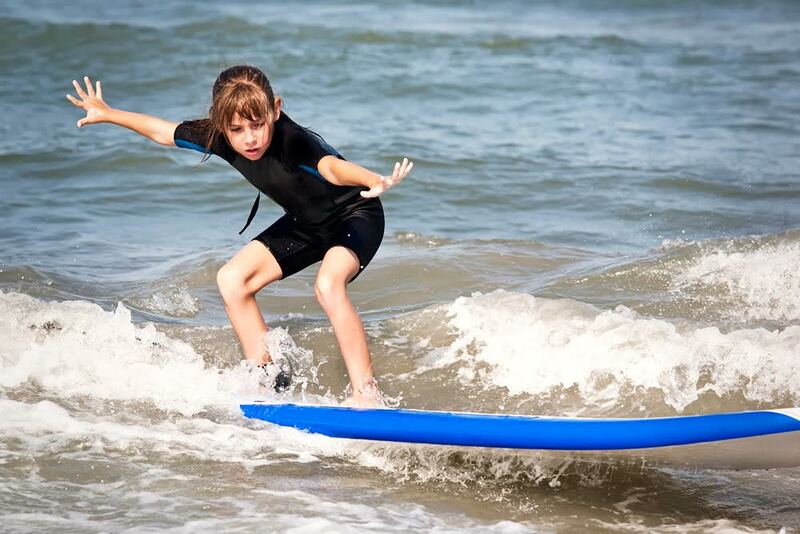 There are many organizations and trainers offering classes in water sports like surfing, sailing and kayaking. This is a great way to let your kid try these sports out safely and under supervision!